A selection of my ‘fave’ takes from the last 12 Months. Best viewed via the ‘slideshow’ button. 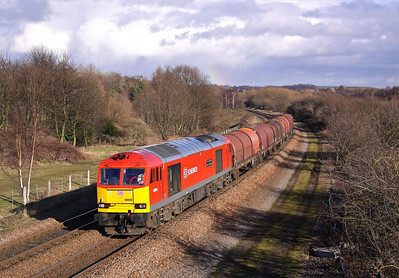 Twenty minutes earlier, I’d written this scene off as the huge black rain clouds had rolled in from the West, but the strong winds dispersed them North and luckily the sunshine (but not the rainbow) held out to record 60040 passing Old Denaby, Mexborough with 6J94 12:25 Hull, Hedon Road - Rotherham Masbrough FD BYA’s on 21st February. 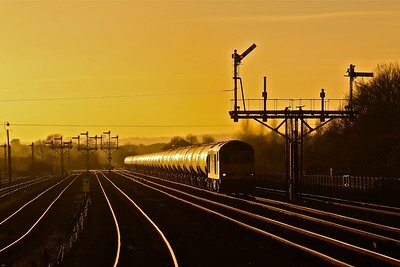 In gorgeous morning light, 56312 6Z41 07:55 Wakefield Kirkgate - Chaddesden Sidings Rail Vac move on Sunday 16th March. 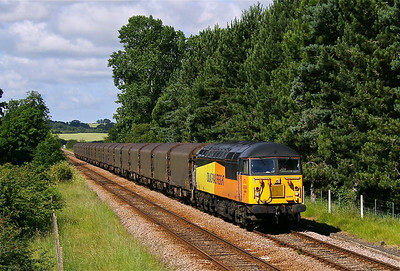 On the 14th April, EWS liveried 60035 was rostered to work 6J57 to Stocksbridge from Aldwarke, which it worked Five Days consecutively. 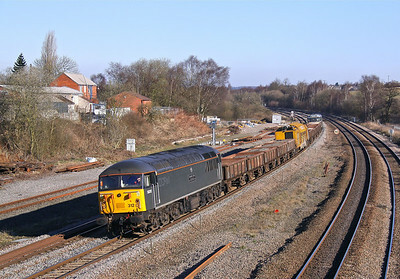 On Good Friday (18th) its seen passing Wadsley Bridge on the former Great Central Woodhead Mainline with a lengthy 1500 tonnes in tow. 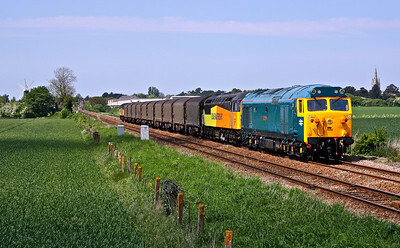 Well we’ve had a ‘Western’ and a ‘Deltic’ working revenue earning freights in recent years, so it was only a matter of time before a Class 50 did it ! 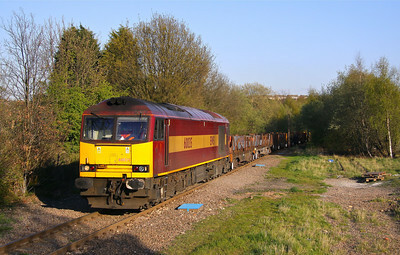 On Saturday 17th May, 50007 ‘Hurcules’ provided the power for 6E07 08:59 Washwood Heath - Boston Docks empty steel as it passed Great Hale Drove No.2, Heckington. 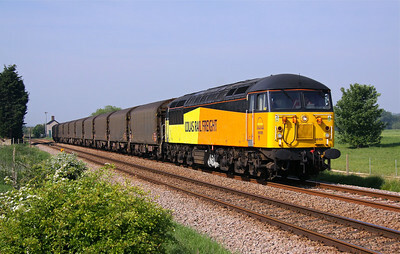 56105 was the insurance tucked inside. 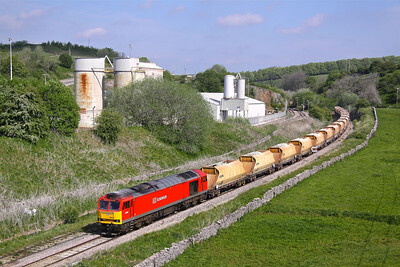 With an almost uniform rake of white JGA hoppers, ( there was an orange ex-RMC wagon second from the rear) 60092 rounds the curve as its about to enter the 161 yard long Great Rocks Tunnel on Sunday 18th May, with 6H27 09:20 Tunstead - Briggs ICI Sidings stone train. 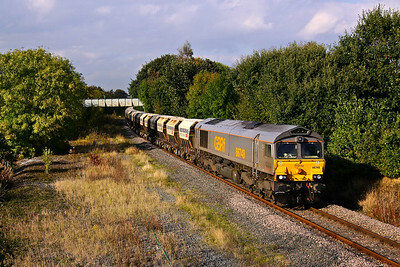 Having had a test run Two days previously along with 50007 and in the more photogenic 6 a.m. path off Washwood Heath, 56105 passes Quarrington Crossing with 6E07 empty Steel to Boston Docks. 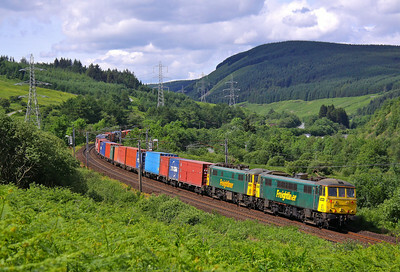 I was expecting 601 to be leading this, so getting BR green liveried 31190 leading was a nice bonus. 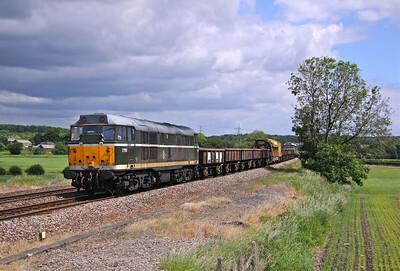 6Z31 09:57 York, Leeman road - Chaddesden railvac is seen passing Slitting Mill UWC, Renishaw on 11th June. 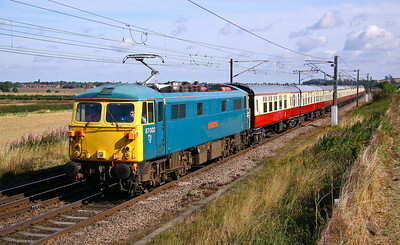 31190 (D5613) was first allocated to Finsbury Park way back in April 1960. Didn’t know this was coming, so it took us completely by surprise ! 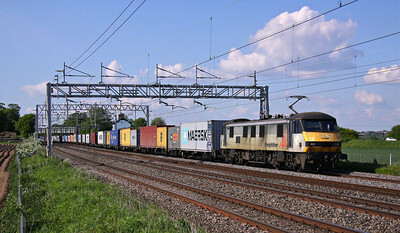 We were sat waiting for 66421 on the Coatbridge Daventry when it suddenly came round the corner - 90039 sweeps past Castle Hill at Abington while atop 1M44 16:16 Shieldmuir - Warrington mail formed of 325016, 325014 and 325012 on 18th June. A location that has benefited from tree grow over the years - blocking out the M6 Motorway behind the train ! 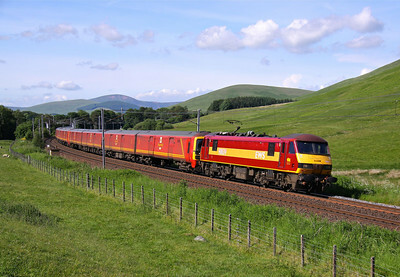 86627 & 86605 combined to provide power for 4M74 14:01 Coatbridge - Crewe Basford Hall ‘liner on 19th June as they pass Greskine. 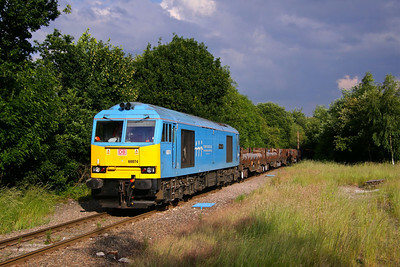 My first serious shot with a 5 Metre pole - 56094 passes Kelby lane on 6E07 06:00 Washwood Heath - Boston Docks empty steel on 30th June. 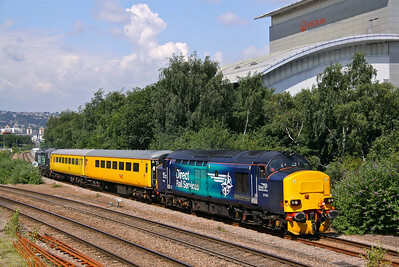 Another pole shot, this time coming off the Deepcar Branch at Nunnery as 37423 works 1Q05 09:49 Doncaster West Yard - Derby RTC on 1st July. My first visit to Joan Croft Junction since the (flyover and) road bridge were built, which it has to be said is in a great place for photographs, as the catenary is well positioned. 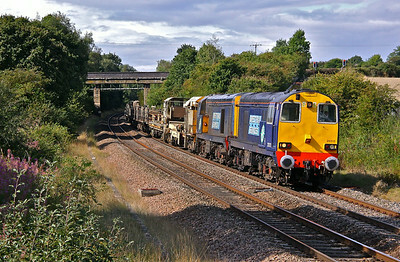 A very clean 47843 ‘Vulcan’ heads South as it approaches with 4D95 15:00 Hull Coal terminal - Doncaster Down Decoy Gypsum containers on 9th July. 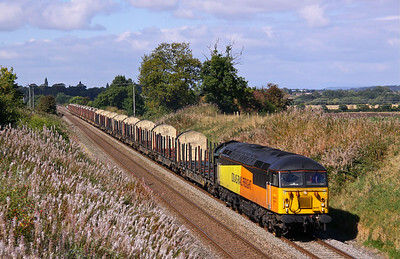 An early rise on a Sunday morning to get across to the Shrewsbury area was required to secure this shot of 56105 working 6V37 Chirk - Carlisle Yard empty log train on 7th September. 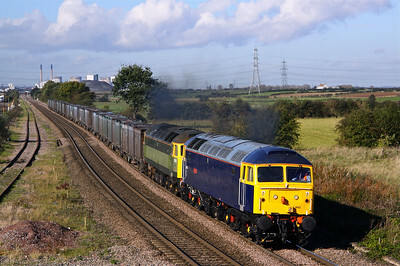 The added height from a 5 Metre pole on this end of the platform shot at Whitley Bridge makes for a more interesting view as 47843 & 47812 power 4D93 10:20 Doncaster Down Decoy - Drax empty gypsum containers on 10th October. After trying to get this from the start of the RHTT season and failing every time by either crap weather or it not running, I finally nailed it on it's last Saturday run (although the shot was compromised with it being mid- December). 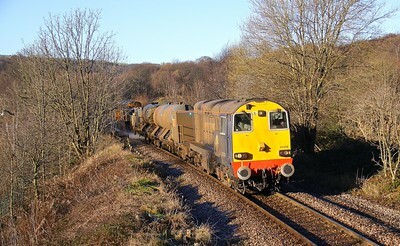 20308 leads 3S14 11:02 Deepcar - York Works past Limestone Cottage, Near Beeley Woods as it applies sandite on the rails of the former Woodhead Mainline on 13th December. 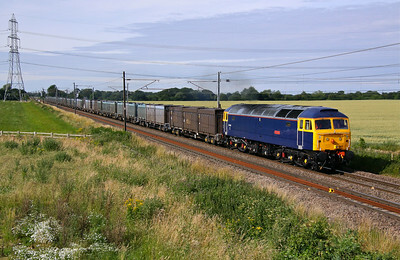 With Barnetby’s unique semaphore signals not long for this World, I made the effort to bag the classic Sunset shot. 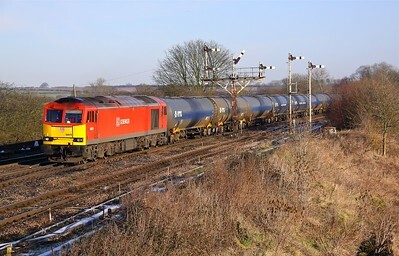 60091 hauling 6E84 10:40 Kingsbury - Humber discharged tanks on the 13th December. A late addition to this gallery. 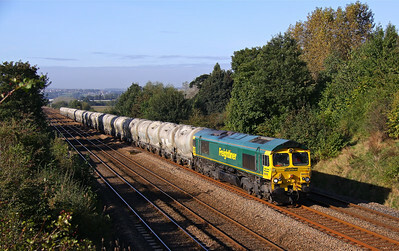 A shot to record the venerable semaphore signals at Barnetby East more than anything, with 60079 at the head of 6M00 11:40 Humber OR - Kingsbury tanks on 30th December.